For some people, choosing a toilet seat means walking into a store and purchasing the cheapest seat they can find. 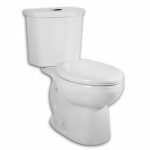 Other people realize that there is a huge variety of available toilet seats and they want the best that they can get for the best price. Regardless of which category you fall into, you can find an affordable toilet seat that will turn a cold, uncomfortable seat into something worthy of sitting on. 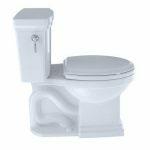 We are here to help you discover the best seats available for your throne by showing you our favorite based on the best toilet seat reviews. What Makes the Best Seat? 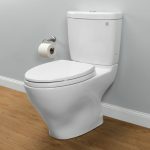 Whether your new toilet came without the seat (like many TOTO toilets), or you are looking to upgrade your current seat, we have listed our top 5 toilet seats. 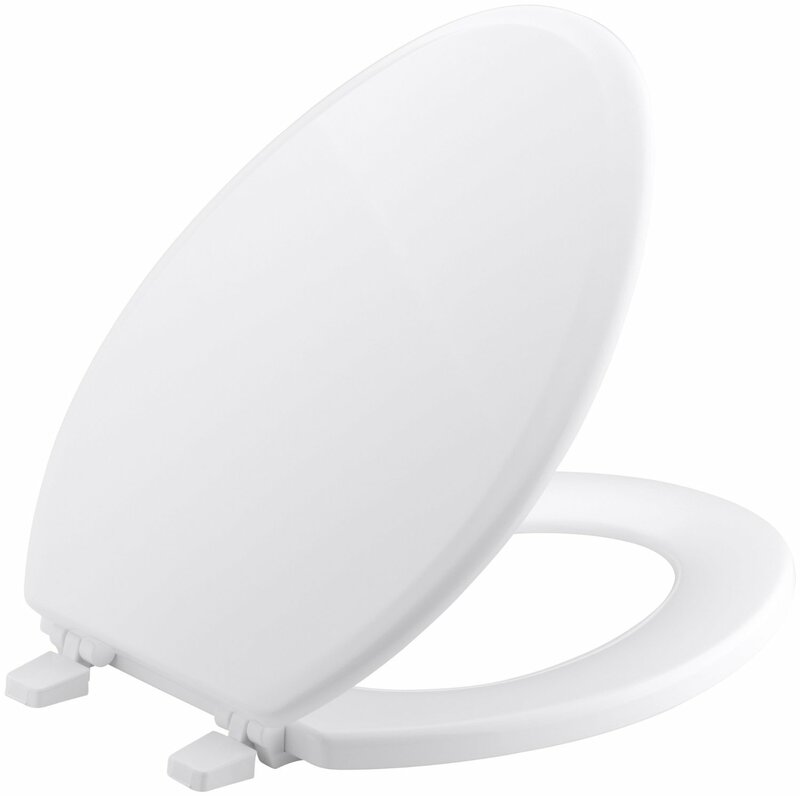 This is our #1 pick for rounded toilet seats. 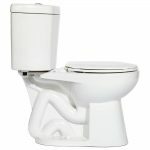 This is an easy to clean toilet seat that is available in a variety of colors. It is made of solid polypropylene and resists staining and chipping. It also includes bumpers to keep it from shifting while on the pot. 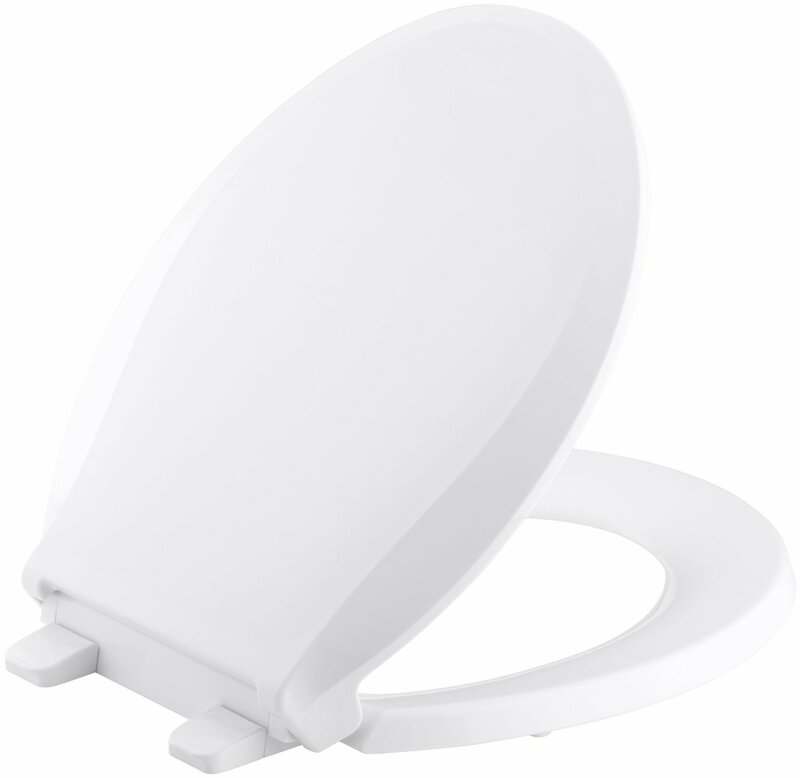 It's a slow close toilet seat that works on both one or two-piece toilets. Best of all, its very affordable. This molded wood toilet seat is highly rated on Amazon. There are many colors available, including Almond, Bone, Venetian Pink, Gray, White and many more. It is convenient to remove for easy cleaning and made of durable wood so that you do not have to worry about replacing it anytime soon. One noticeable downfall of this toilet seat is it is lacking the quiet-close feature. 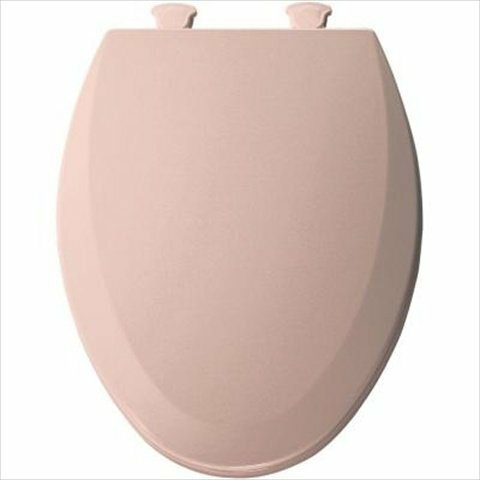 If you like the traditional wood toilet seat style, Kohler’s Ridgewood is a great choice. It is similar looking to the Kohler Cachet, however it lacks the quiet-close feature. It is available as a round or elongated seat and there are three basic colors to choose from (white, biscuit and almond). 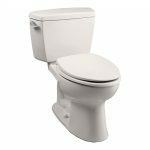 It works with one or two-piece toilets and has a very traditional look that appeals to many. This is definitely one of the most popular choice's on Amazon. 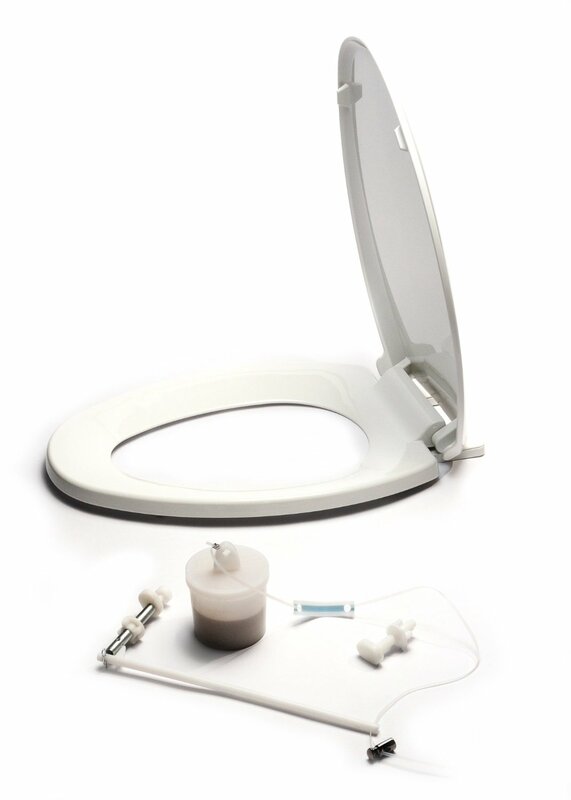 NextStep is a toilet seat that serves dual purposes. It is an adult sized seat with an included child potty training seat. You can choose a round or an elongated seat size in 3 different colors (white, bone, or biscuit). 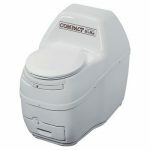 It is ideal for helping small kids transition to an adult toilet. It also includes the soft-close feature to prevent slamming and fingers getting pinched. 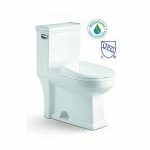 This seat is designed to make elongated or round-shaped toilet seats close automatically after you flush. Yep - no more contact with the toilet. This helps prevent your pets or babies from playing in the toilet water when your not in sight. 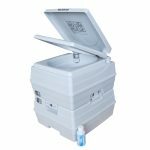 It is a fully mechanical option that keeps your bathroom cleaner than ever before. Sounds great, right? Well, don't get too excited. The reviews aren't so great on this product. Many love the idea, but agree that is still has many bugs to be figured out. Furthermore, most agree that it is still a solid toilet seat with the wonderful quiet-close feature, even if you have to eliminate the automatic function. In the past, you could only choose from soft seats or standard hard seats for your toilet. There may have also been different toilet seat sizes such as elongated or round. Those were the days when you could run in, grab a seat, and be happy that you had it. Some of the newer model seats are much more interesting. There are soft close seats, which prevent you from the bang in the middle of the night if someone slams it. 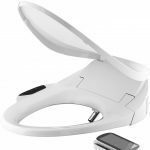 You may also choose an automatic toilet seat that rises as you walk near it so that you do not have to do it yourself and self-closing toilets that ensure your partner never forgets to close the lid. 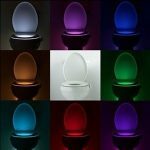 As an added feature for the middle of the night toilet issues, including being blinded by the light or not realizing the seats up until you “fall in”, you can get a toilet ﻿night light. Furthermore, there are toilet seats with arms that make sitting safer and easier for the elderly or disabled. When you look at a toilet seat you will notice that it has two parts. The toilet lid is the part that covers the toilet bowl so that you do not have a big hole showing. The toilet seat is the part that you will sit on if you want to be comfortable. The seat is the part that you want to be most comfortable, which is why many are padded. 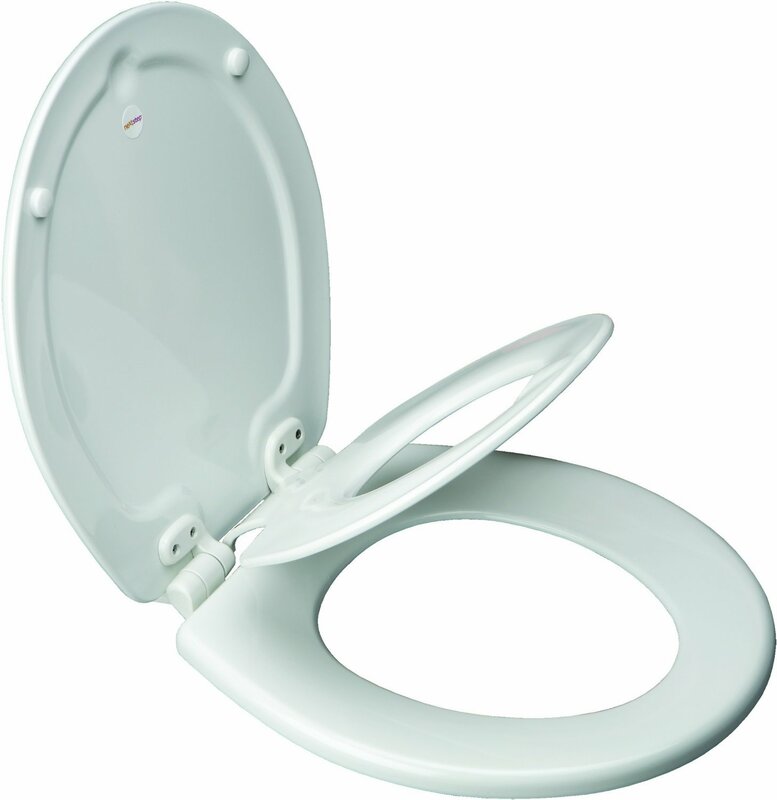 The toilet seat lid is something you most likely either always leave open or hate that it slams down on its own. By closing it after you visit the bathroom, you are increasing the cleanliness of your bathroom. You can further decrease the germs in your bathroom by using disposable toilet seat covers (for high traffic bathrooms). If you are looking for even more functionality from your toilet seat, such as sprays or deodorizers, check out our guide on the best ﻿bidets.